San Antonio Virtual Tour Company Achieves RTV T4 Status! 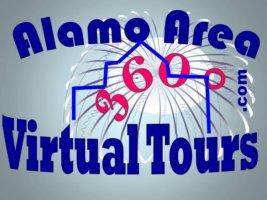 RTV is very proud to announce our latest T4 virtual tour provider, Alamo Area Virtual Tours. Alamo Area Virtual Tours is a locally owned and operated San Antonio, TX virtual tour company and was formed by James Hoback to promote San Antonio Realtors, as well as Uvalde, Eagle Pass and hill country Realtors’ listings on the world scene of internet marketing. James Hoback, founder and president has this to say, “I realized that houses don’t sell themselves until potential clients see them. And as in all things, first impressions are lasting impressions. If a house does now show well online it is going to remain on the market for a long time. James understands that being the number one San Antonio Virtual Tour photographer requires keeping ahead in the virtual tour technology department. Alamo Area Virtual Tours exists to help market properties more efficiently and with a wider audience. With Alamo Area Virtual Tours as your personal assistant on a per listing basis you get a valued partner, not just for your photos and a virtual tour, but for weekly traffic reports, lead capture tools, single property websites, and amazing syndication to the leading real estate portal sites. We look forward to working with you on your next listing soon. Albuquerque Virtual Tour Company Achieves RTV T4 Status! We’re very proud to announce our latest T4 virtual tour photographer, Dale Hart owner and operator of DragonFly 360 Imaging. Dale has successfully completed our rigorous T4 training program and has already been out shooting several of our Google Business and Hotel virtual tour shoots. About this Albuquerque Virtual Tour Company: DragonFly 360 Imaging is a locally owned and operated virtual tour company providing a wide range of photographic services and real estate marketing services to the Greater Albuquerque, NM area. At the helm of this fast growing virtual tour company is Dale Hart. He brings over 30 years of professional photography experience to the table, much of it working with interior designers and architects. “In concert with RTV, we offer continually evolving, cutting-edge virtual tour technology to help market real estate and other locally owned commercial businesses in the Albuquerque – Rio Rancho Area. Our mission is to provide progressive, cost effective marketing solutions to real estate professionals and commercial businesses that show their company or property listings in the best possible light. High quality virtual tours are an excellent way to showcase a business and let potential customers experience your facilities and people from the comfort of their home. They’re designed to engage people and interest them in visiting your business, where they’ll hopefully become customers. But does your school or preschool need a virtual tour? Virtual tours can definitely benefit both schools and preschools. In much the same way that colleges and universities use these powerful tools, Daycare centers, preschools, and schools can show prospective young students—and especially their parents—exactly what to expect when they come to your school. Enrolling in preschool can be a scary time for both parent and child. For children, it’s often a major transition, and may be the first time in their lives they will spend any significant amount of time away from their parents. And of course, parents want to be reassured that their little ones will be taken care of in a safe, clean, and fun environment with friendly caretakers. You may tell parents that your facility is a great place for kids, but a virtual tour will be able to show them your wonderful environment. High-definition photos and video of your play areas, kitchens and eating areas, nap areas, and more will paint an impressive picture of your preschool. And since virtual tours are visual in nature, even young children can watch and understand more about your school. Being able to see the preschool before they visit for the first time can help them overcome fears and separation anxiety. A virtual tour consists of so much more than images. While detailed, stunning photos and video are central to the creation of a virtual tour, they can also include floor plans, captions, info bubbles, links, staff bios, and even fun music to delight young viewers. Marketing your preschool to parents is also easier with a virtual tour. You can embed the final presentation on your website, and also post it to social media sites like YouTube and Facebook to increase visibility and awareness for your school. 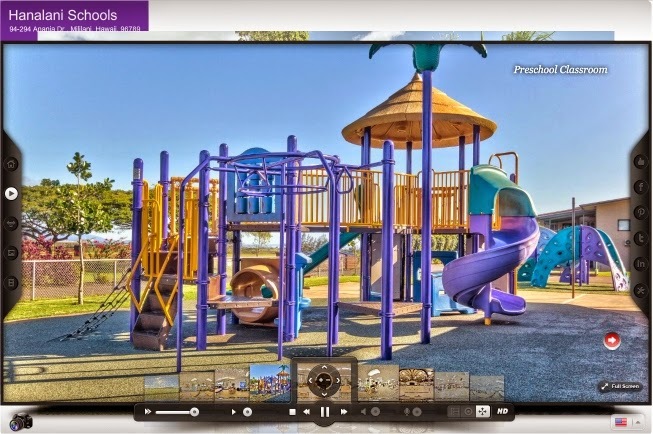 Are you looking to increase enrollment at your preschool with a professional virtual tour? Contact us today to learn more about what we can do for you and your school!